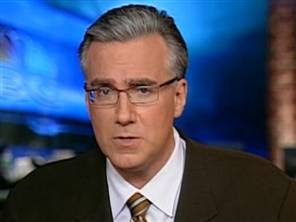 Keith Olbermann is a sick individual. He should be hung for his two hour special immediately after the shooting trying to politicize the entire event. As NewsBusters has been reporting since Saturday's tragic shooting spree happened in Tucson, liberal media members have predictably blamed the incident on prominent conservatives, in particular former Alaska governor Sarah Palin. One of the first to be dragged into this sickening ritual of guilt by association: Sarah Palin. Last March, the former Alaska governor posted a map on her Facebook page with crosshair targets representing 20 Democratic lawmakers she was singling out for defeat after they voted for President Obama's health care plan. One of them was Giffords. Palin, who touts her caribou-hunting heritage, also tweeted, "Don't retreat, RELOAD!" This kind of rhetoric is highly unfortunate. The use of the crosshairs was dumb. But it's a long stretch from such excessive language and symbols to holding a public official accountable for a murderer who opens fire on a political gathering and kills a half-dozen people, including a 9-year-old girl. Actually, the hypocrisy on display during Olbermann's two-hour special Saturday evening was even grander than Kurtz shared with his readers for the "Countdown" host - and Kurtz as it turns out - ignored how Markos Moulitsas of the far-left website Daily Kos targeted and put a bull's eye on Giffords for being a Blue Dog Democrat back in June 2008. This seemed especially dishonest of Olbermann who has been a frequent contributor to Daily Kos. Did he forget this by a leftist? Kathy Griffin announced her New Year’s resolution to continue a verbal assault on the Palin family. Only in 2011, the comedian said she intends to target Sarah Palin’s 16-year-old daughter, Willow.